1 narrator – male or female. In the 2012 production this was a pre-recorded voice. Female chorus could range from 2 to 4 and male chorus could range from 4 to 6. When impoverished launderette owner Robbie becomes romantically involved with engaged Mayoral candidate James Prince, his step-sisters become the least of his problems! James and Robbieâ€™s worlds collide forcing them to fight for their own fairy-tale ending in this hilarious, satirical twist on the classic Cinderella story. The goofy innocence of Soho Cinders won us over, to say nothing of its charming score and a message of self-acceptance—and personal responsibility—we can all get behind. We found this a big, campy, friendly show, rooted in classic musical comedy traditions, unambiguous in its loyalties and unabashedly sentimental. A concert version of Soho Cinders was produced at Queen’s Theatre, London in October 2011, followed by a first class production at Soho Theatre, London in August 2012. Further productions: Dallas, Texas; Arts Educational School, London; University of Cumbria; University of West England; Bruges, Belgium. Award nominations: Best New Musical, WhatsOnStage Awards 2013; Best Supporting Actress in a Musical (Suzie Chard & Beverly Rudd), WhatsOnStage Awards 2013. 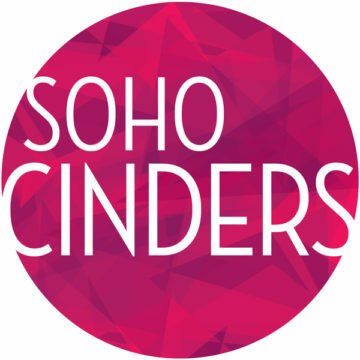 Soho Cinders is an urban musical fable, based loosely on the Cinderella fairytale, set in London’s most cosmopolitan district, Soho. More specifically on Old Compton Street – that promiscuous potpourri, that magnificent melting pot, that glittering back passage. Soho Cinders takes place in a fictitious period in the not-too-distant future when it is still possible to dream of handsome Princes and fairytale endings. Our Cinderella character is a young guy, Robbie, who works in his late Mum’s launderette, Sit And Spin. Whilst trying to prove that he is the rightful owner of the establishment, Robbie is constantly threatened by his two step-sisters – not identical but equally unpleasant. James Prince is a highly popular, and highly affianced candidate in the race to become London’s next Mayor. Despite his protestations that his campaign should be run honestly, there is one aspect of his life where James is not exactly being honest with himself. Just as Damon Runyon created a fabled version of New York, so Soho Cinders hopes to transcend geographical boundaries and have a life beyond the fabled version of London in which the story unfolds. No mice or pumpkins will be harmed during the presentation of this musical.